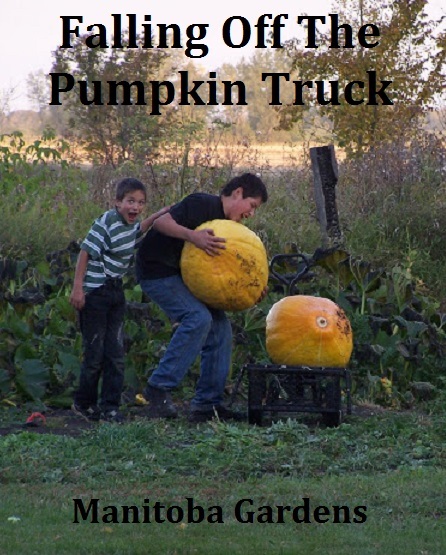 Have you ever heard the expression, "I didn't just fall off the pumpkin truck!"? 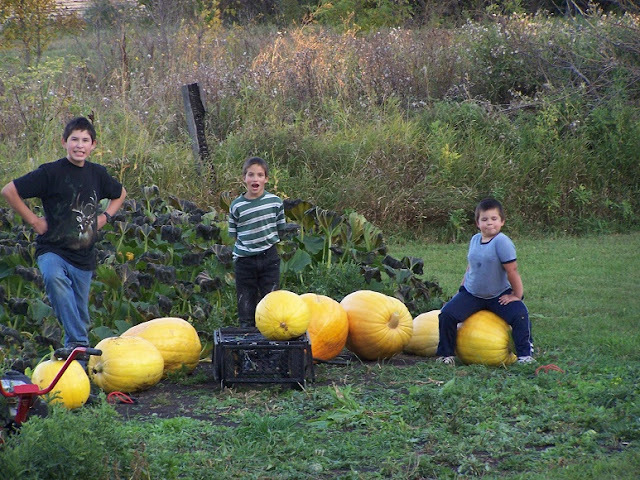 Neither had our boys, until several years ago, when we had a crop of huge pumpkins that needed to be moved from the garden. 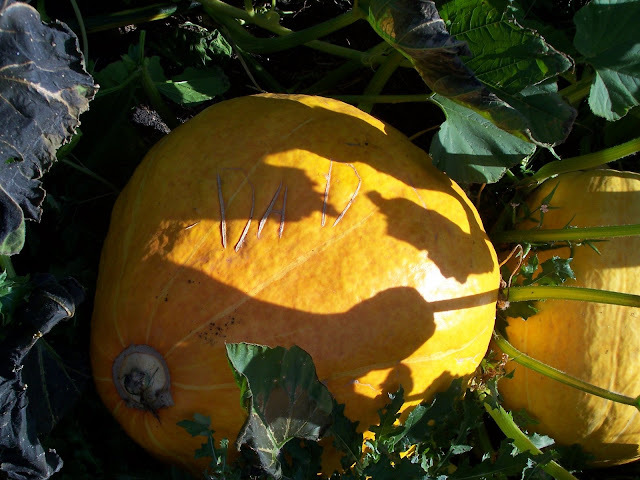 We had never planted pumpkins before, and Brian had bought the seeds. 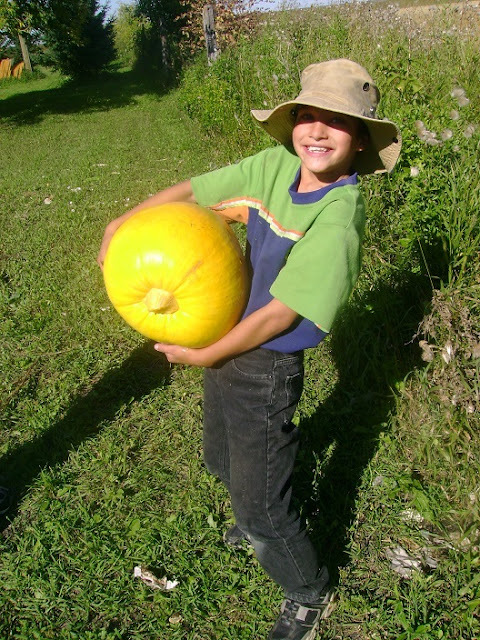 It wasn't until they started to grow that he told me they were giant pumpkin seeds. 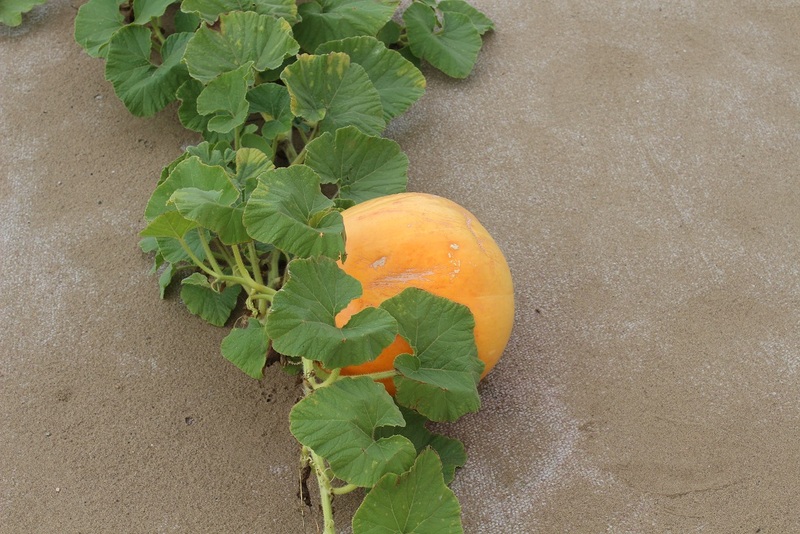 Fortunately, we were late planting them, so the pumpkins didn't have a chance to grow to full size! 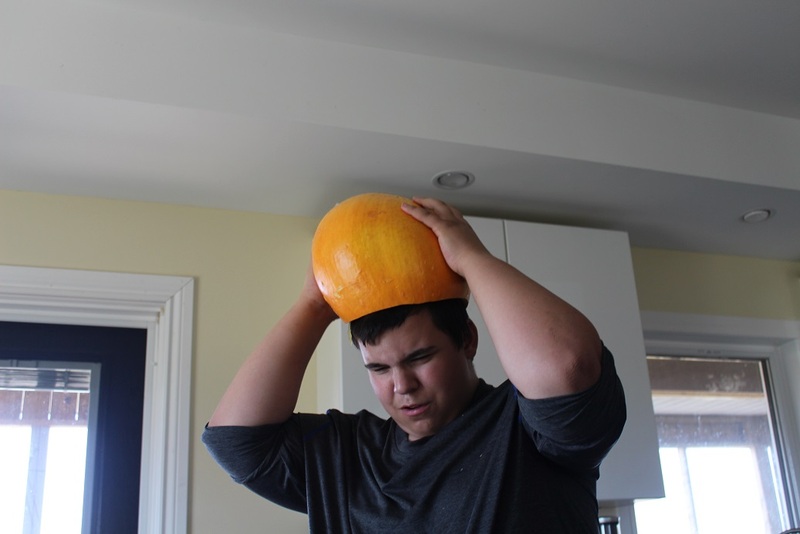 Looks like someone picked their pumpkin! 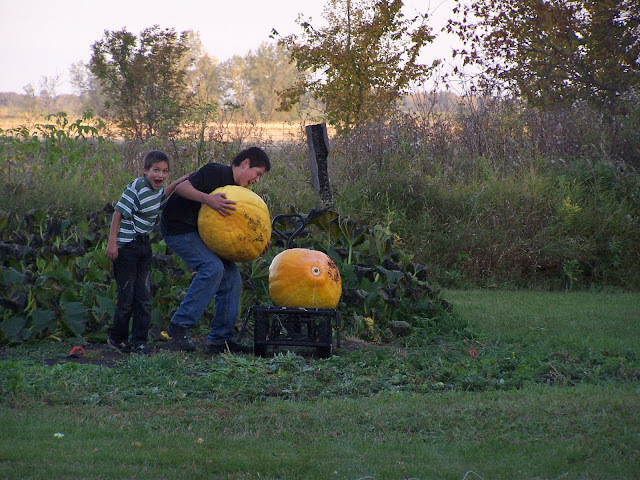 The boys started out moving the pumpkins with our garden wagon, but soon found out the job was a little too big for that. 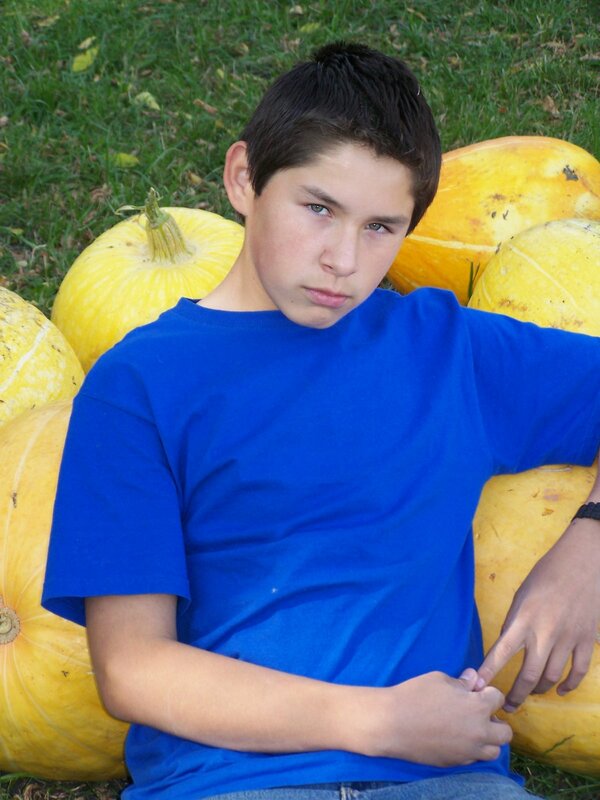 So, that's when Brian decided to use the truck to load up the pumpkins, and move them to our patio. Some of the pumpkins had gone bad from sitting too long in the garden, so we decided to take them to the back of our property. Once the pumpkins were all loaded, the boys jumped on the truck too....Justin sat on the tail gate. 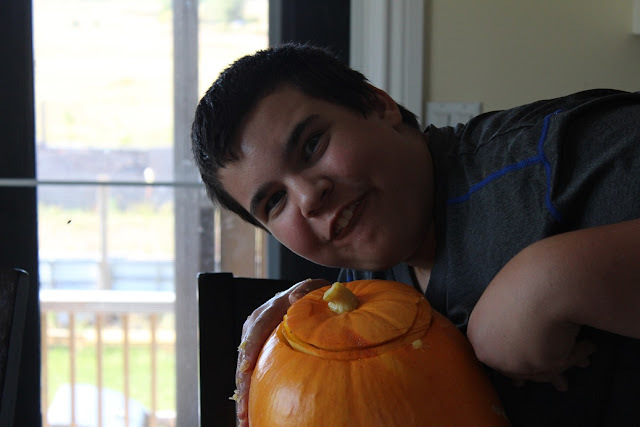 Brian drove across the yard, through the ditch, and across the field....and you guessed it, Justin fell off the pumpkin truck! 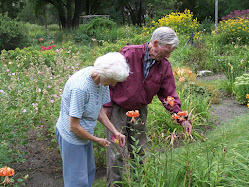 Now, just in case you've never heard this expression, or maybe you've heard 'turnip truck' or cabbage truck', it is used to describe someone who is naive or unsophisticated. (Definition here) For years, we would say to Justin, "Ya, you really DID fall off the pumpkin truck!" 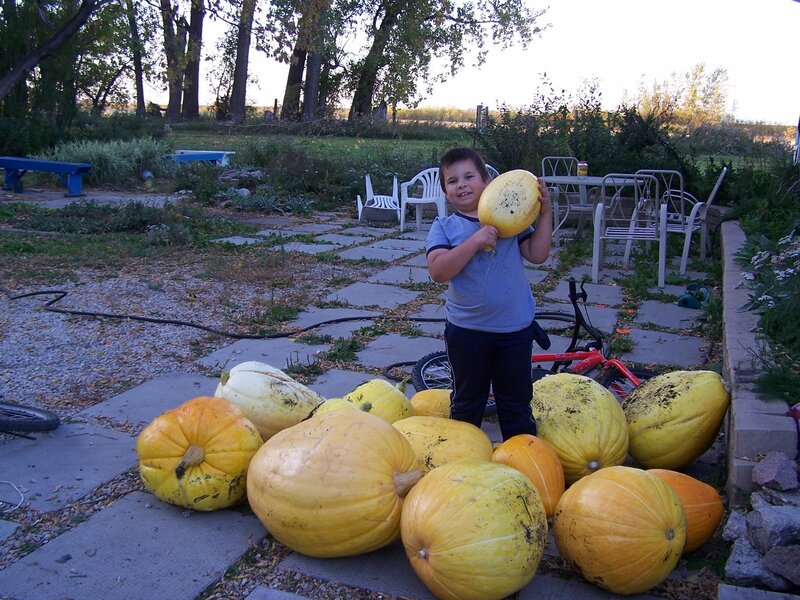 Fast forward to this year, and we finally grew pumpkins again...or rather, Daniel did. I'm not sure what kind of seeds Brian picked up this time, but inside the package there were only 3 1/2 seeds...yes, a half a seed! I decided to experiment with a way to keep down the weeding, using a big piece of carpet in our skating rink area. I cut a circle in the middle of the carpet, and Daniel planted his 3 1/2 seeds. 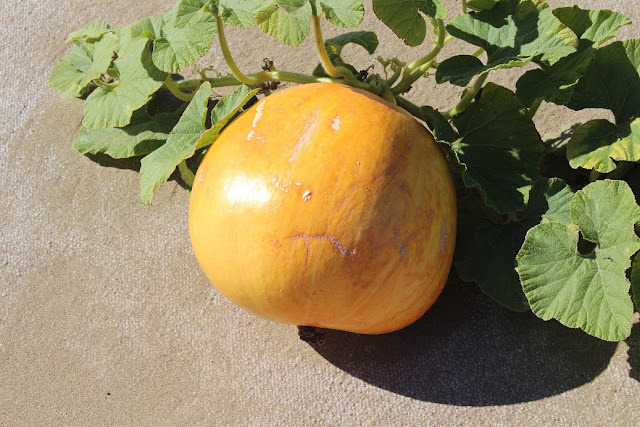 We didn't have many weeds come up, but we also only had one pumpkin plant grow.....and that one plant only produced one pumpkin. Not quite like the crop from years ago! But that didn't stop Daniel from having some fun! I don't know about you, but I think Daniel looks like he may have just fallen off a pumpkin truck! What a story! Love it! 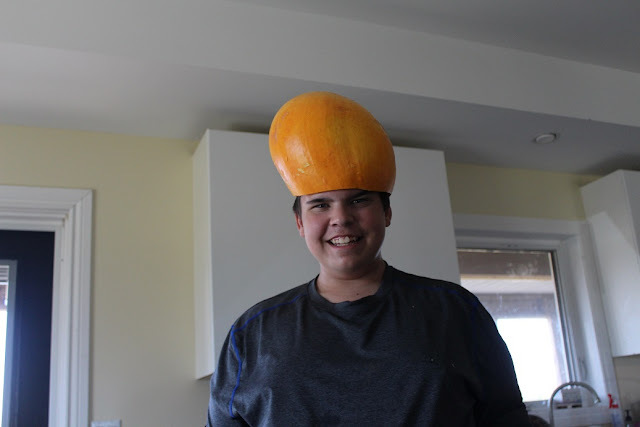 I've heard the term "pumpkin head" too; looks like he's demonstrating that one as well! lol. 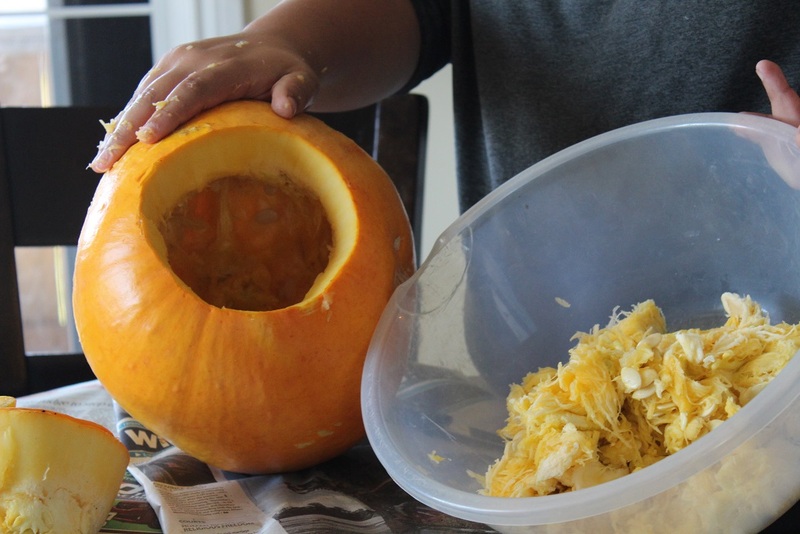 By the way, chickens LOVE pumpkins, so when I have one get too soft, I drop it in their run so that it breaks open. They have a field day! 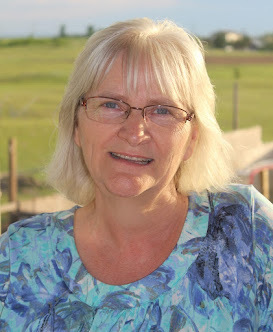 Thanks, Kim & Kathi, for stopping by. Kathi, pumpkin is supposed to be good for dogs too, so we gave some to ours, but they didn't seem to like it.